The brand on the front of this massive pre/power combo may not be the first that springs readily to mind when it comes to high-end home theatre, but Datasat has more rights than most to call dibs on the market. Having played an intrinsic role in the birth of multichannel digital movie sound, this UK-based outfit has credibility in spades. The Datasat Digital Entertainment story dates back to 1993, when superstar director Steven Spielberg persuaded Universal Studios to include a revolutionary 5.1 audio system from fledgling cinema sound troupe Digital Theatre Systems, now better known as DTS, on his upcoming fantasy Jurassic Park. Rushed into theatres for the movie release, the system was to become an essential element of a generation of blockbusters. 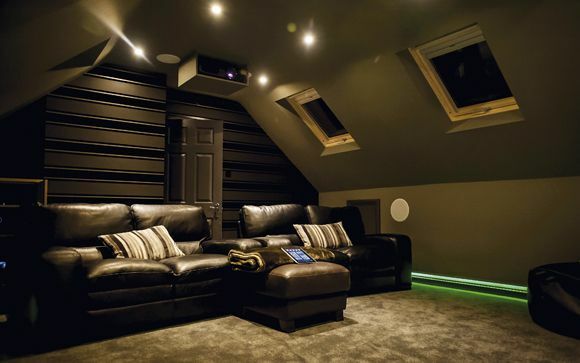 The company’s rivalry with competitive multichannel sound system Dolby Digital went on to define the home cinema market. DTS was eventually split into two autonomous divisions, covering the home and theatrical markets. The digital cinema business was eventually sold off to Datasat in 2008, with the DTS branding jettisoned in 2011. Today you’ll invariably see the Datasat logo closing out the credits of every major motion picture. With a lineage that can be tracked back to the very first DTS digital multichannel movie soundtrack, the company clearly understands bigscreen audio. The RS20i processor featured here, along with the RA7300 seven-channel power amp, is the brand’s opening (admittedly super high-end) gambit into the home cinema space. Retailing for a combined £33,000 (£18,600 for the processor and £14,400 for the amp), these are hardly impulse buys. Indeed, they only actually make sense within a bespoke all-encompassing custom cinema installation that will cost a magnitude more. Together, though, they could well be the most exciting-sounding home cinema components on the planet. The RS20i is essentially a domesticated version of Datasat’s cinema AP20. That SHARC-infested processor brought an audiophile sensibility to the commercial theatre market for the first time, and fittingly this domesticated sibling takes that ethos to another level. It has a superior power supply and upgraded componentry, including Analog Devices DSPs and Burr-Brown PCM4104 DACs. Putting the muscle on the RS20i’s armature is the RA7300. Tipping the scales at a hernia-inducing 56kg, this power amp is an absolute beast. It may be more difficult to lift than Thor’s Uru hammer, but wrestling it into position is worth the effort. Despite its formidable size and improbable weight, the RA7300, unlike the RS20i, is not a derivation of commercial kit. It’s very much conceived as a consumer product, albeit one that’s ridiculously over-engineered. The RA7300 was designed by Morris Kessler, the founder and chief engineer at ATI, the American high-performance amplifier specialist. Clearly he was having fun with the commission. The amplifier is tethered by twin power sockets. This is because at full tilt there simply isn’t enough juice available from a single 13-amp plug to drive it. The amp is rated at a humongous 300W per channel into eight ohms. Of course, unless you’re hoping to pressure load the S.H.I.E.L.D helicarrier you’re never going to utilise all that volume, but you’ll still need to connect both power outlets, as the amp distributes the power equally from each socket. The RA7300 couples to the RS20i using a chunky 25-pin D-Sub connector. Not seen in the consumer market, this is a familiar connection standard for a professional cinema installation. A 12V trigger syncs the amp with the processor. While the speaker terminals are not labelled, they follow a logical left, right, centre, etc, topology. It’s important to stress that this Datasat combo is not plug ‘n’ play. Anyone who buys it will inevitably enjoy a dealer install. The system also lacks many of the niceties routinely found on unapologetically more affordable AVRs. Don’t buy this thinking you can tweak it into rude health yourself. Of course, hooking up source components to the processor is relatively straightforward. There are four HDMI v1.4a inputs, although only one output. There’re also three digital audio inputs (two optical and one coaxial) and a couple of analogue stereo jacks. The complexity comes in the system setup. There’s copious bass management control, so whether you want to assign four individual subwoofers or pairs, the RS20i can cope. For our audition, I plumbed in a trio of subwoofers (twin passive models from Velodyne driven by a separate power amp and an active sub from Crystal Audio) via daisy-chained multi-way cable and XLR connection. While the menu offers a variety of configurations, I ran the rig as a 7.3 system.Support for phantom mixes is offered, be it centre or rears, yet the chances of kit of this calibre being installed in a venue without a full complement of speakers seems slight. The versatility of the RS20i is overwhelming. There’s provision to have different equalisation for movies, music and games. Every input can be configured differently. Want to tri-amp your front channels, pro-cinema style? No problem. Dig deep enough and you’ll even find some vestigial cinema modes buried in the menus that have no role to play in a home theatre environment, such as the Monitor Mix, a downmixed mono confluence of all channels. There’s no traditional IR control supplied. It’s intended to be used within a broader home control system, be it Crestron, Control 4, AMX, etc. The system can also be controlled via VNC (Virtual Network Computing) remote access from a laptop or tablet. If you want hands on, the fascia features a touch-sensitive front panel and dial which allows access to inputs and setup parameters. Playback provision includes LPCM, Dolby TrueHD and DTS-HD Master Audio, plus DTS: Neo and Dolby Pro-Logic post-processing. New for 2014, Datasat is offering an upgraded version of the RS20i with an Auro-3D audio decoding card. Auro-3D allows for a stacked 5.1 speaker configuration giving additional height steerage, along with a Voice of God ceiling speaker (yes, that will mean room remodelling). Alternatively, users can opt for a 9.1-channel layout comprising a standard multichannel configuration bolstered by height speakers front and rear. There’s no native Auro-3D encoded content available at present (although the company insists that compatible Blu-rays are on the cards), but owners will still be able to upscale existing multichannel soundtracks to their chosen speaker configuration. System software has to be manually updated over a network connection, as it doesn’t auto notify. Helpfully there’s also a USB Save and Restore function. This allows all the setup data to be backed up to a memory stick. This is essential during installation as you can preserve a known, good configuration before going on to experiment with other recipes. Your friendly Datasat installer can actually block you from changing anything via password protection, so be sure to keep him sweet with tea and biscuits during the calibration process. As adept as the RS20i is, the true magic happens when the system is tuned using Dirac Live room optimisation software. This is actually separate to the RS20i, and requires the installer to have the Dirac Live Room Correction suite running on a laptop. The RS20i also offers comprehensive onboard parametric equalisation, but Dirac Live does such an astonishing job you’ll not want to use it. Indeed, once Dirac fine-tuned the RS20i, it rocked my listening room with a precision that integrated Audyssey packages can only dream of. The RS20i is the first home theatre product I’ve seen able to take advantage of Dirac Live, but it’s left me eager for more. Swedish based Dirac Research specialises in DSP wizardry, and developed the Live package for home theatre/hi-fi applications. Let’s hope more brands pick up a license. The software builds a fantastically accurate acoustical model of the listening room and then detects and corrects any deficiencies. This is achieved through multiple microphone measurements, four being the minimum. In a larger room, you might typically measure nine positions. Beyond that there’s little point adding more, as the objective is to create an average. The only manual intervention required is when setting speaker crossovers and sound pressure level. We handled the latter manually, using a classic Tandy SPL meter and VNC client. The key thing to remember is that when setting SPL you’ll need all channels to be equal; the level itself is down to personal preference (we opted for 75dB). Fully tuned and ready to go, the RS20i/ RA7300 combo delivers breathtaking dynamics, gut-wobbling LFE and truly holographic imaging. The sound mix during the opening mountain race sequence in Fast and Furious 6 is given almost physical form by this Datasat duo. You can literally feel the gear changes of the racing cars, the exhilarating vehicular roar resonating in the pit of your stomach. Amazingly, this system comes perilously close to mimicking the sonic excitement of a live track event. When the klaxon-sounding drones in the Tom Cruise actioner Oblivion set about blasting the Scav’s underground retreat, you’ll fear they’re actually demolishing the house around you; the soundstage has such scale and slam it’s impossible not to grin like an idiot. If you could beam a premium theatre physically into your listening room it would sound just like this. The Datasat system doesn’t just rock on a seismic level, it delivers totally intelligible dialogue without spitch or mumble, regardless what’s going on left or right. This level of naturalistic articulation is extremely difficult to achieve. On the debit side, the processor makes a fair old fan noise when up and running. Thankfully all those Watts make the thrum relatively easy to mask. Ideally though, both processor and amp should be squirrelled away in an equipment rack, or projection room, not plonked within earshot. Subtle atmospherics are also a speciality. The deep cave explorations in Ridley Scott’s Prometheus suddenly become hyper real, immeasurably heightening the tension. More obvious panned effects don’t ping pong from speaker to speaker, but are cohesive and believable. And the deep, taut bass control constantly surprises. The overwrought theatrics of Battleship have never made it a demo favourite for me, yet when its frying-pan-in-the-face action is delivered by this Datasat double-act, it almost becomes a thing of wonder. The system seems to be able to find detail and power in any scene, no matter how disposable the movie. Of course, it’s not just high-resolution Blu-ray that sounds superb through the RS20i. The system does a fine job with Dolby Digital 5.1 delivered from a Sky+ HD box. Rise of the Planet of the Apes (via Sky Movies) harbours rampant bass, which the system again delivers with frightening enthusiasm and control. It is also surprisingly adept with two-channel music, spatially placing instruments with an accuracy that would do justice to hi-fi royalty. The staging and tightness of this big combo is revelatory. Stupidly huge, ruinously expensive and cursed with gale-force fan noise, the RS20i and RA7300 pre/power combination might seem an odd pairing to eulogise. But make no mistake, this is the most exciting audio offering in home theatre today. In terms of raw power, dynamic attack and image placement it's nigh on unbeatable. Rivals? There are a few. In terms of brawn, the Datasat duo would duke it out with heavyweight amplification from the likes of Krell, Chord Electronics et al. When it comes to functionality, a close competitor is probably Yamaha’s pre/power combo, the CX-A5000 and MX-A5000. However in a cinematic shoot-out, Datasat has considerably more sonic firepower than that affordable offering. Let loose in its natural environment, a dedicated home theatre room with all the trimmings, those opening negatives become irrelevant. This system, fine-tuned with Dirac Live calibration, represents the pinnacle of home cinema audio excitement. Once heard, it’s never forgotten.